Are you looking for healthy snack ideas that don't have a lot of sugar? If so, be sure to check out Harvest Snaps. These unique snacks are a great source of protein and fiber, and they fit into many special dietary needs and healthy eating plans. I am always on the lookout for healthy, wheat-free snack ideas that aren't packed with sugar and artificial ingredients. So, when the Harvest Snaps team offered me a free sample pack of their snacks for review purposes, I jumped at the opportunity to try them. I am glad that I did, as I quickly discovered that these convenient snacks taste terrific! There are three types of Harvest Snaps, each of which is made from real peas and beans. Each type is available in multiple flavors. Green Pea Crisps: This type has the most flavor options, with four varieties. Choices include lightly salted, Caesar, black pepper, and wasabi ranch. Black Bean Crisps: There are two options for the black bean type: habanero and mango chili lime. Red Lentil Crisps: The red lentil type is available in two flavors: onion thyme and tomato basil. 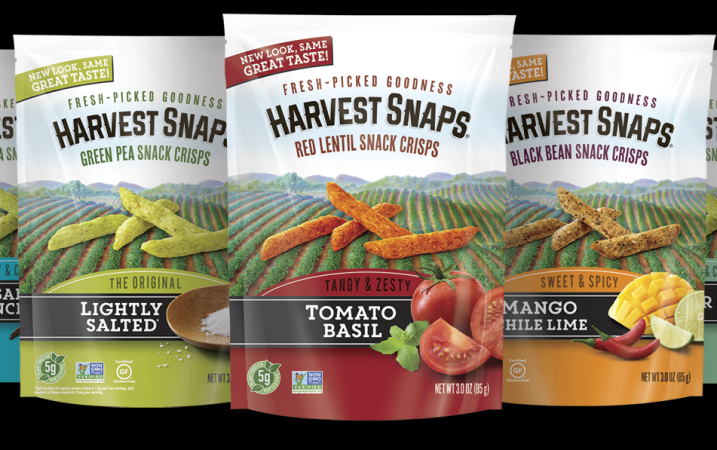 It can be challenging to find crunchy packaged snacks that are good for you, but that's exactly what Harvest Snaps are! They are made with simple, healthful ingredients, and are gluten-free. They are also appropriate for vegan or vegetarian ways of eating, as well as the Paleo diet and diabetic eating plans. Nutrition counts vary by type and flavor, but none are high in sugar. Some varieties have only one gram of sugar per serving, and none have more than three grams. They have a 3:1 carbohydrate to protein ratio, which Tiger Fitness indicates is the ideal ratio "for maximizing recovery from an intense training session." Even if you haven't just completed a high-intensity workout, these tasty treats are a great snack option. They are wonderful to pack in lunches for school or work to enjoy as a side dish or snack. They're also a great snack to crunch on while watching TV, enjoying a family game night, or traveling. Any time you need a bit of a crunch without empty calories, this tasty treat can be a great choice!